Jim Al-Khalili is a British theoretical nuclear physicist, professor at the University of Surrey, academic author and broadcaster. He is also long-time trustee and supporter of the Foundation for Science, Technology and Civilisation (FSTC). 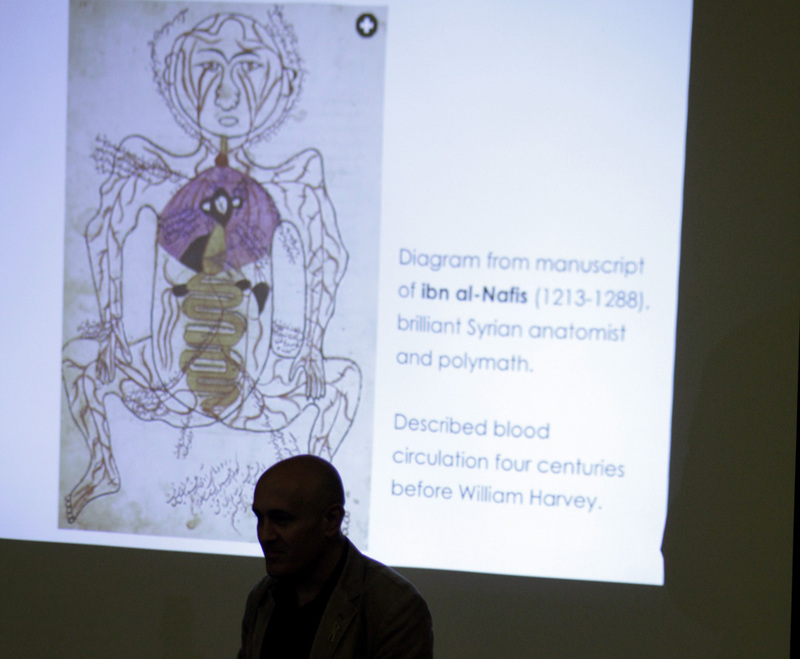 He presented the BHA 2013 Hollyoake Lecture on Tuesday 22nd of October regarding the "Forgotten Legacy of Arabic Science". 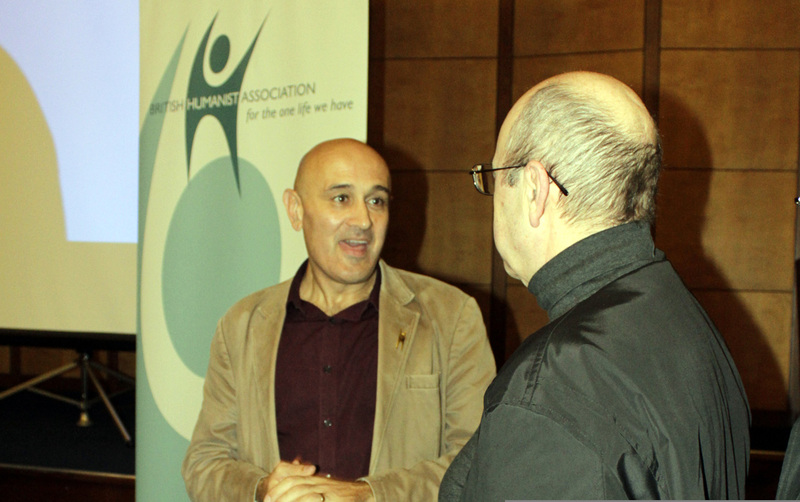 Jim Al-Khalili is a British theoretical nuclear physicist, professor at the University of Surrey, academic author and broadcaster. He is also long-time key associate and supporter of the Foundation for Science, Technology and Civilisation (FSTC). 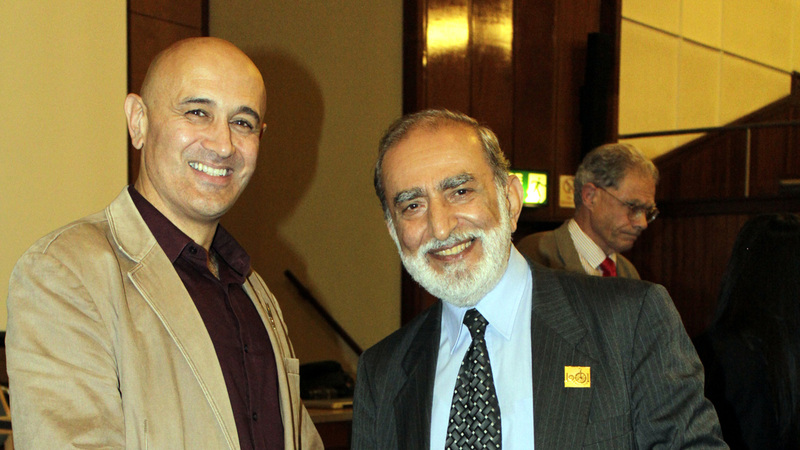 He presented the BHA 2013 Hollyoake Lecture on Tuesday 22nd of October regarding the "Forgotten Legacy of Arabic Science". The lecture took place in Friends Meeting House, Manchester and was delivered to a fully packed audience originating from diverse backgrounds as well as disciplines. 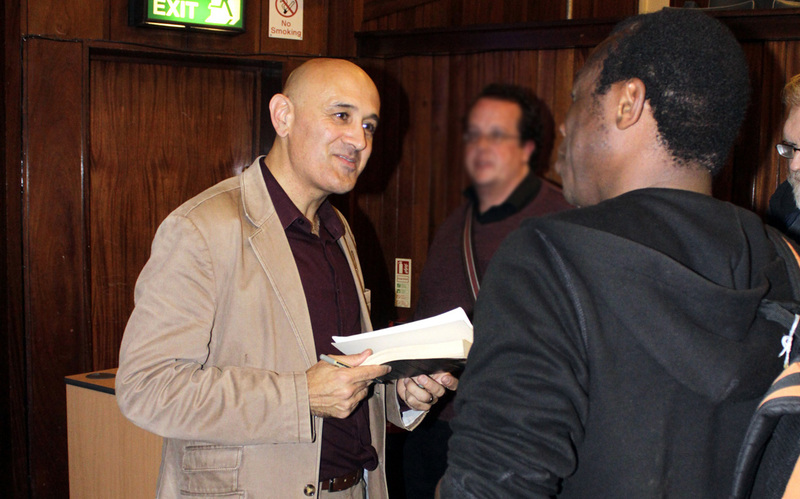 Professor Jim Al-Khalili took the audience through a lively chronicle, which took place in the Muslim Civilisation, dating back to one of the most memorable periods in the Muslim world. From approximately the 8th century up until the 16th century, scientists living in the Muslim world during this era were not only encouraged but often sponsored by the state and philanthropists alongside charity organisations (Awqaf) to translate, develop and create scientific knowledge. One of the most notable institutes in which these scientific developments took place was the Bayt Al-Hikma also known as "The House of Wisdom." Scientists not only translated, scrutinised, experimented and developed upon former scientific works founded by the Greek, Chinese, Persian and Indian civilisations but they were also inspired by the similar fervour these civilisations illustrated and continued this tradition of "obsession with books". Renowned figures such as Abu Yusuf Ya'qub Al-Kindi, who Professor Jim Al-Khalili referred to as the "philosopher of the Arabs," and Muhammad bin Musa Al-Khwarizmi, who was referred to as "the father of Algebra" were amongst some of the great innovators who were part of this establishment. This notion of shared heritage and shared humanity, transfused within the story most of us do not appear to be familiar with, seemed to have had an inspiring and jovial effect on the audience. From the wondrous recollections of history, regarding the founding of Bayt al-Hikma (The House of Wisdom), to the genius of Ibn Al-Haytham (Alhazen). Closing remarks made by the audience seemed to illustrate doors of understanding and appreciation opened for those versed in European scientific history, whilst encouraging those from similar backgrounds as these scholars to not shy away from science. Even though Professor Jim Al-Khalili did seem to echo similar notions to those FSTC raises, one point made during the question and answer session regarding the Ottoman contribution to science, or as Professor Jim Al-Khalili insinuated, the lack thereof, left some of the audience surprised. It is worth noting that FSTC has been publishing numerous works on scientific advances in the Ottoman era. Such contributions range from time keeping devices like sundials for example to maps made in the geography field, or the development and creation of observatories in astronomy alongside institutions of learning, hospitals, great architectural designs, original research in optics etc. More information regarding some of these scientific contributions made during the Ottoman era can be found on the Muslim Heritage website, particularly the article named "Ottoman Contributions to Science and Technology". As Professor Jim Al-Khalili himself stated during the introduction of the lecture, it is important to give credit where credit is due. 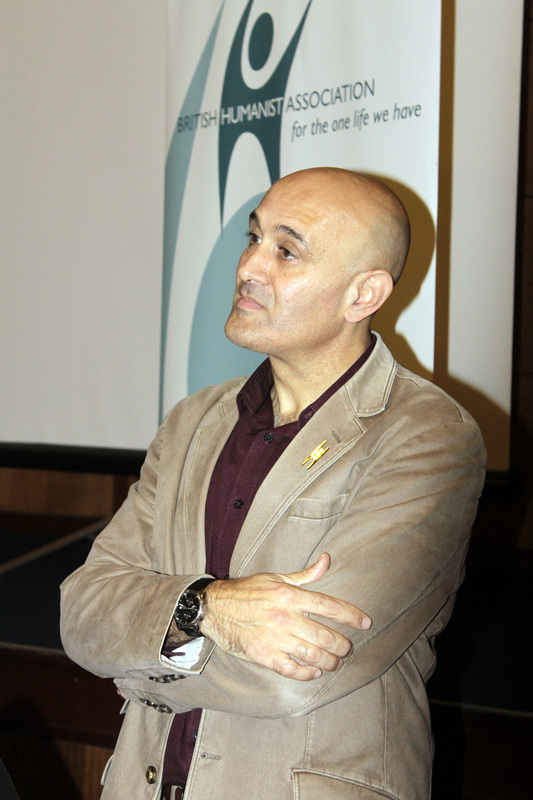 Professor Jim Al-Khalili's concluding remarks highlighted the fact that if scientific advancement during these forgotten centuries in Muslim civilisation were made in spite of scientists originating from multi ethnic or multi faith backgrounds, the same could be done for the present and future by getting involved in initiatives such as 1001 Inventions.